Turkish police have shot tear gas at protesters, along with an RT journalist covering the event. 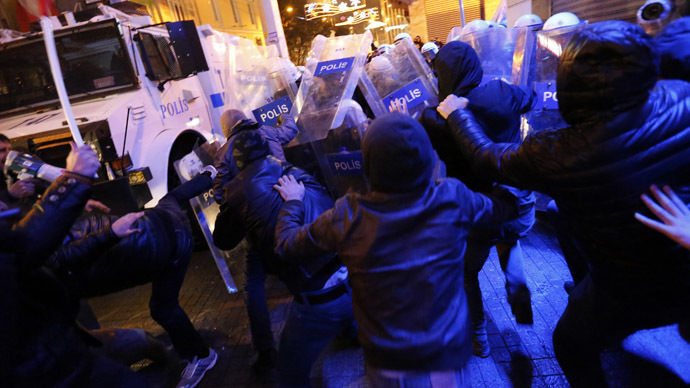 More than 100 have been detained on the anniversary of the 2013 Gezi Park demonstrations and 25,000 officers have been dispatched to quash the protest. 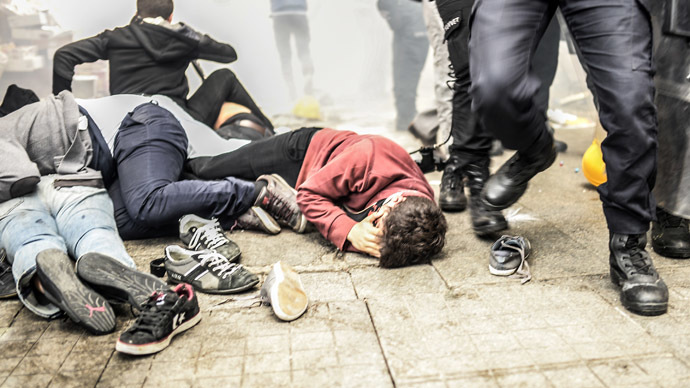 Several hundred people had been assembling on streets leading to Taksim Square when police fired tear gas into the crowd, which promptly dispersed. 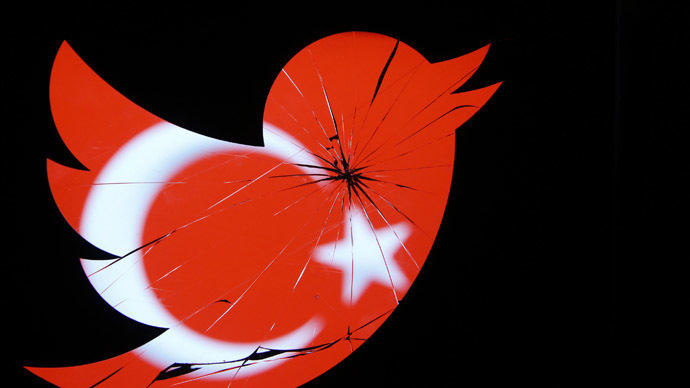 In total, around 120 have been arrested, Istanbul Police Chief Selami Altinok said late Saturday, Anadolu new agency reported. He added that four police were wounded. According to the Contemporary Lawyers Association at least 145 people have been detained in Istanbul. A further 17 were arrested in Ankara, Hurriyet reported. 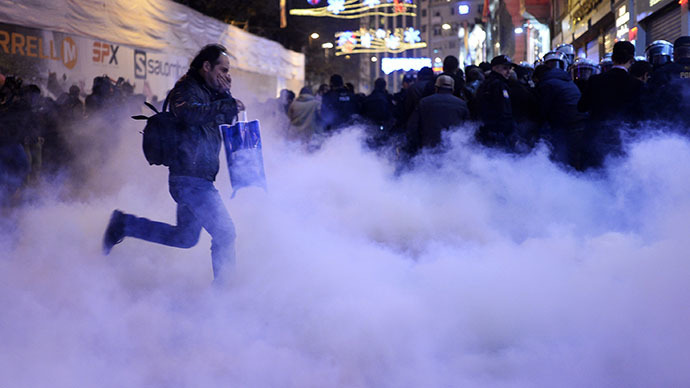 Turkish left-leaning daily, Evrensel Gazetesi, reported that a helicopter was used to disperse tear gas in Ankara. While the total number of casualties remains unknown, 14 were reported injured, according to Turkey's Human Rights Association (IHD). 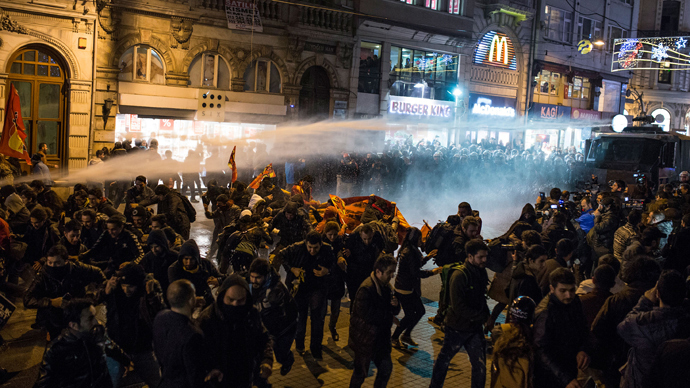 Several people were also injured when water canon was deployed, hitting a street vendor's wagon and shattering its glass, reported Turkey's Hurriyet Daily News. One of the vehicles was used to douse the flames of a fire burning down a side-street. 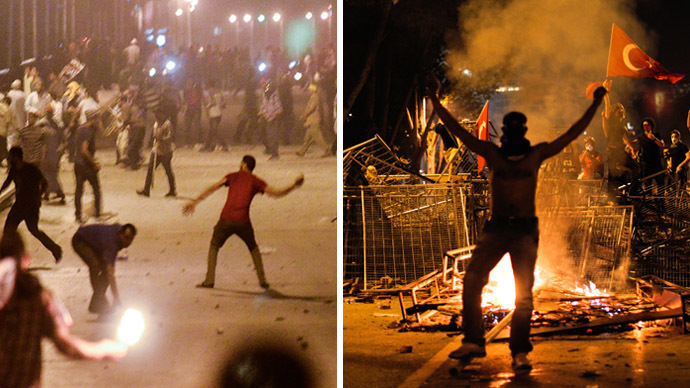 Mass demonstrations swept through Istanbul in 2013, many of which were brutally suppressed. Eleven fatalities and more than 8,000 injuries were reported in the violence and subsequent protests that ensued. 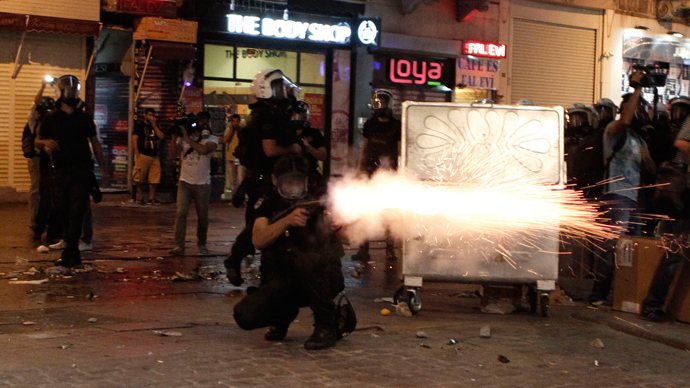 It was Turkey's biggest anti-government movement in decades. Despite recent unrest, Turkish Prime Minister Tayyip Erdogan will remain in his post until 2023, and will have more powers granted to his office through constitutional change, a senior party official said on Saturday. 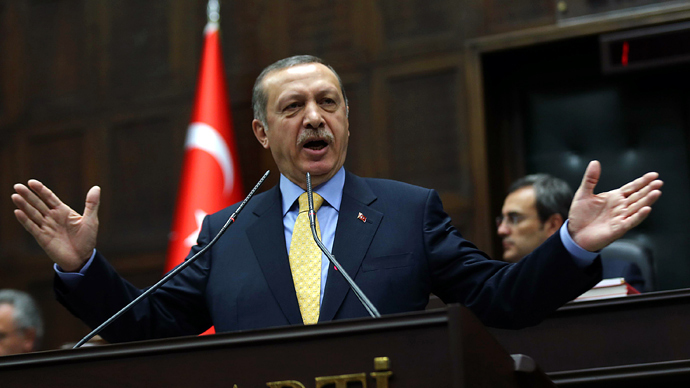 "Erdogan will continue to serve the people. In fact he will continue as president," said Mehmet Ali Sahin, deputy chairman of the ruling AK Party and a former cabinet minister. His comments were broadcast by NTV news channel, reported Reuters. "That way Erdogan will be president as a member of a political party, and he will continue to serve our people until 2023," Sahin said. Istanbul has stepped up its police presence to cope with further demonstrations planned for 7 p.m. local time on Saturday. “You will not be able to come to those places like you did last year. 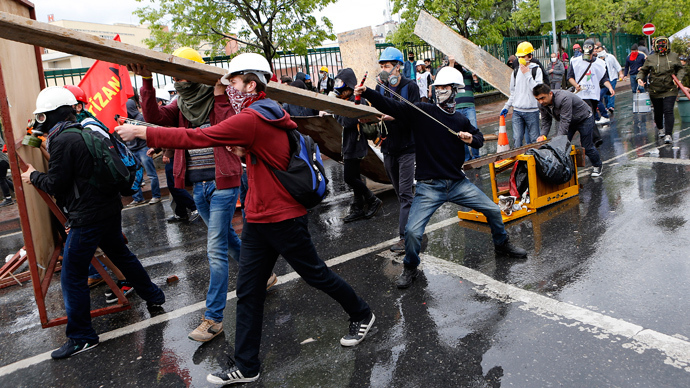 Because the police have taken absolute orders, they will do all,” Erdogan said during the opening ceremony of a building in Istanbul, shortly before the first wave of protests. Fifty water cannon trucks and armored vehicles have been dispatched to the area. Firth stated that people had planned to gather at 7 p.m. local time to try to get to Taksim Square. “But the authorities are adamant that they are not going to be letting the protesters pass,” she said. 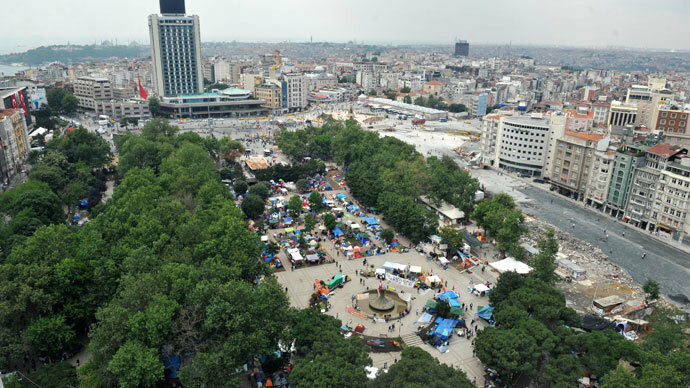 Taksim Solidarity – one of the primary organizers of last year’s rallies – made the call for the demonstration. “Tensions in Turkey are very high at the moment - we’ve had the recentSoma mining disaster– that tragedy unfolding and anger sparking at the government’s response to that,” Firth said, referencing a tragic incident at a western Turkish coal mine on May 13th in which 301 people died. “But in past protests you do sometimes see provocative action – you see rocks being thrown. And today, the protesters who turned out…actually had a sit down protest in the minutes to the police moving in,” she added. 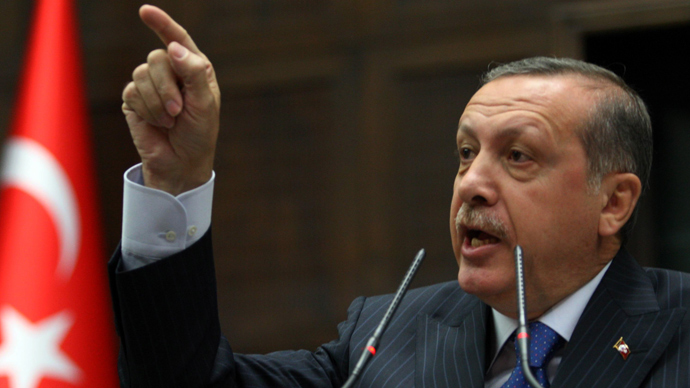 Erdogan has stated that police would do anything within their power to suppress mass action. “Our security forces have clear orders. They will do whatever is necessary from A to Z,” the prime minister said at the ceremony. “One year on, you’re seeing the same tactics that sparked such anger being used again,” Firth said. Plainclothes police have been detaining protesters over the course of the day. Among those arrested earlier in the day were a CNN journalist and his crew.